Love the look of fondant but hate the taste? Use candy clay instead. It looks like fondant but tastes like chocolate. Learn how to make and use candy clay to decorate adorably cute treats for holidays and special occasions. This 2-ingredient recipe is easy is fun to use to decorate cakes, cupcakes, cookies, and more. 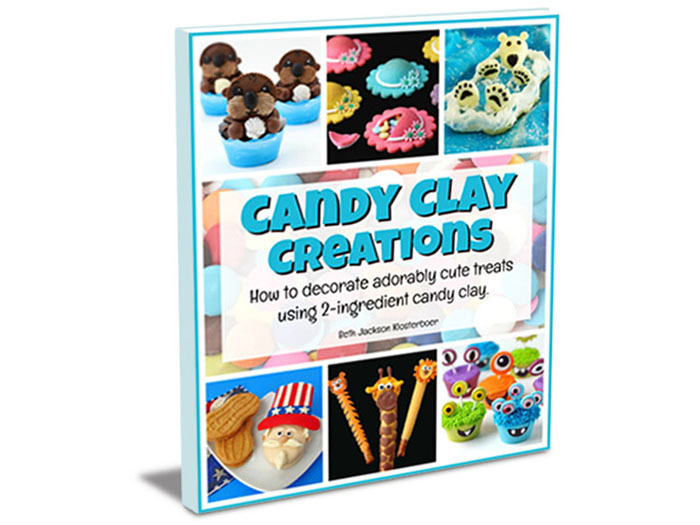 Inside the book you'll find step-by-step tutorials for decorating 17 wonderful treats along with detailed instructions for creating all the candy clay decorations. Candy Clay Creations - How to use 2-ingredient candy clay to make adorably cute treats.